If someone says my work is 'too' something, then I know I've hit a nerve. Too feminine? Too weird? Too COVERED IN GLITTER? Good! If you try to appeal to everyone, it gets watered down and you’re left with nothing at all. Art director. Pop artist. Improv comedian. 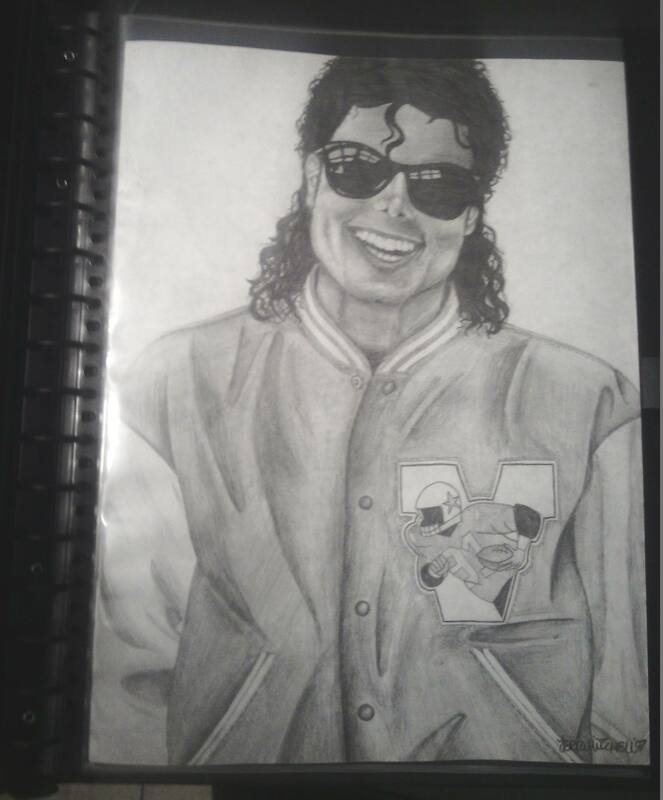 Michael Jackson fanatic. Terri, a Southern Illinois native, recently returned to the St. Louis area after living in San Diego for a decade. In that time, she had her paintings showcased in several art shows. She keeps a sketch book handy to capture ideas for new paintings and drawings that pop into her head. Interestingly, she doesn’t doodle her thoughts but instead jots down words associated with her rough ideas. Terri’s creative process is pretty simple. First, she finds a venue to host her art show. Having a cemented place and time helps give her the structure to focus on creating a cohesive body of work. 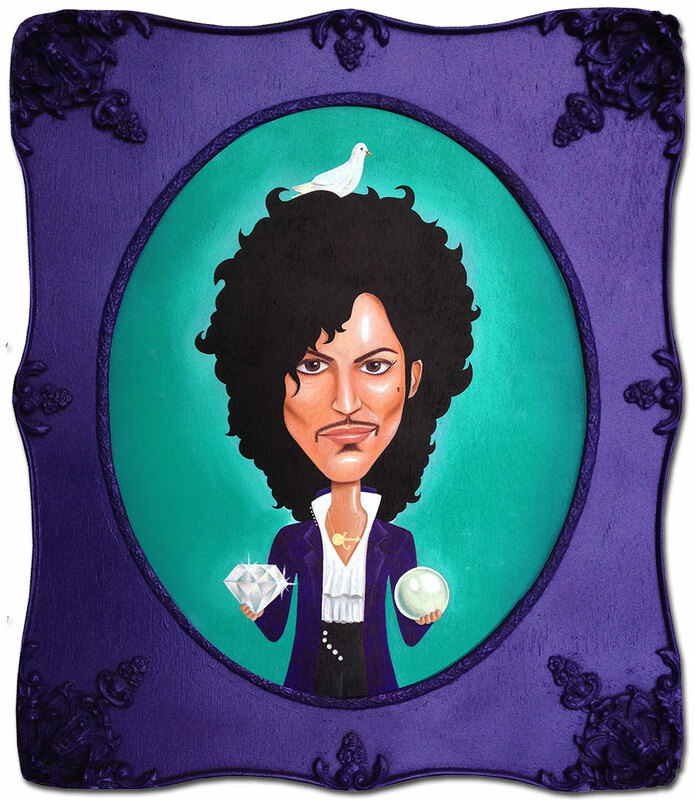 I always thought you had to be an accomplished artist to have an art show. But as it turns out, you don't need any credentials at all. You just need to find some blank walls. 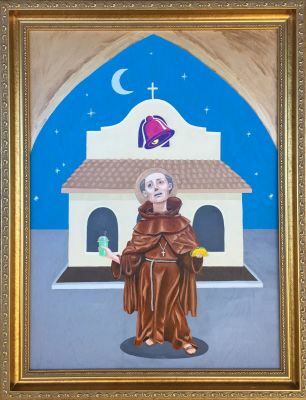 Past art show themes ranged widely from gun violence, celebrities, and food. 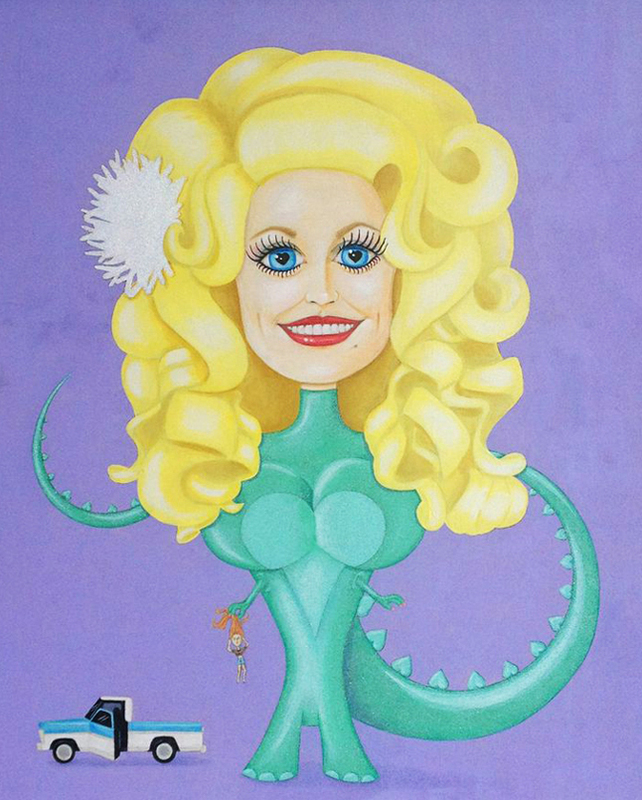 For her very first real art show, “American Dream House,” Terri approached Matt Stallings, a more established artist, and asked if he’d be interested in doing a duo show with her. 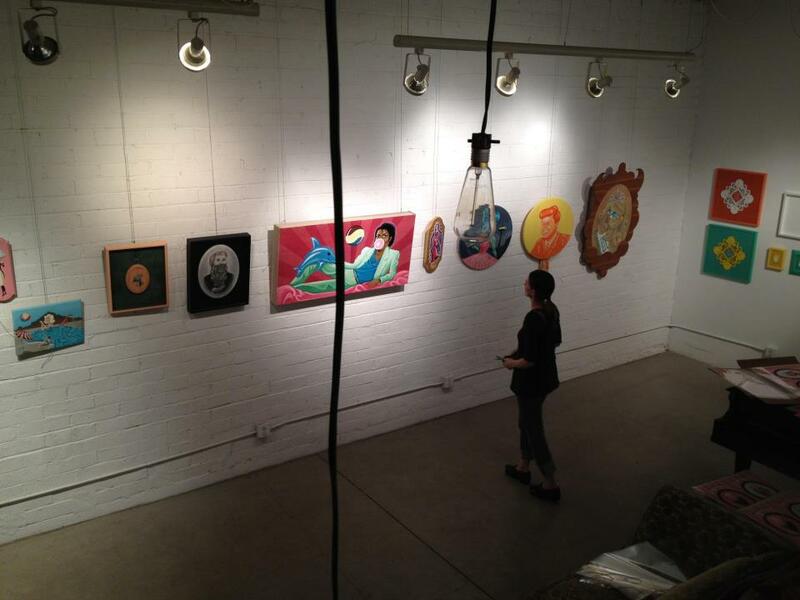 But peruse her body of work, and you’ll quickly see talent was what made the show a success. Her style has a playful, bright and upbeat vibe. 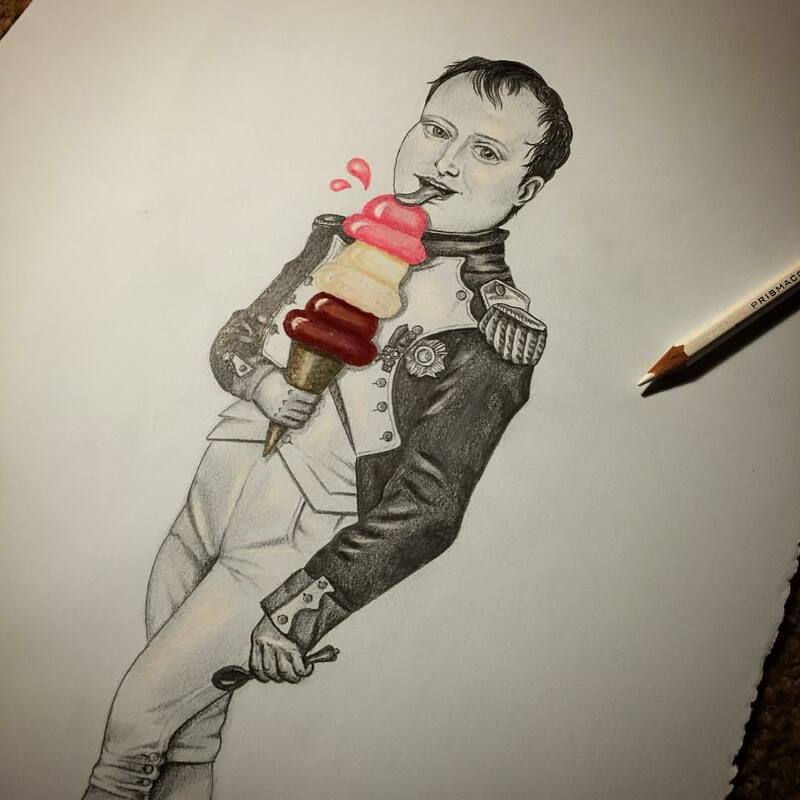 Many of her paintings are visual puns – Napoleon Bonaparte chomping on a cone of Neapolitan ice cream, for example. 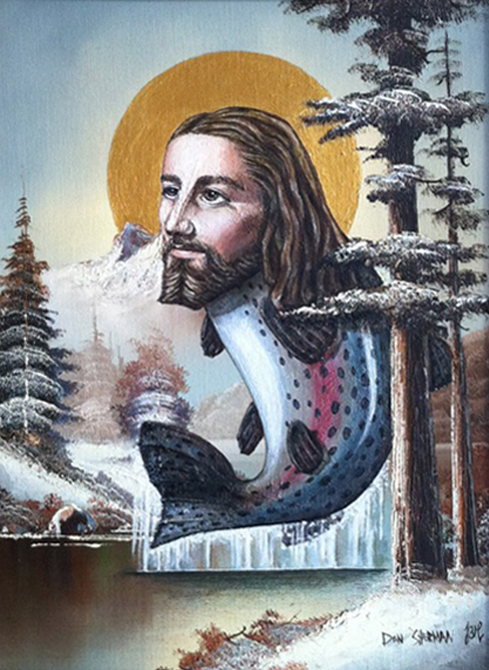 “Most of my "art" doesn't take itsself too seriously. Saves me from facing any real criticism that way. Like, no no no guys – it's supposed to be a joke!" Her Bang! Bang! art show, targeting gun violence, is arguably the darkest of her work. 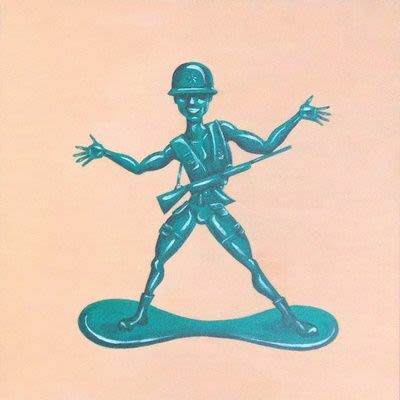 But even it has what Terri describes as a “candy-coated shell.” Paintings in the series include a police car doughnut. A French horn-inspired AR-16. 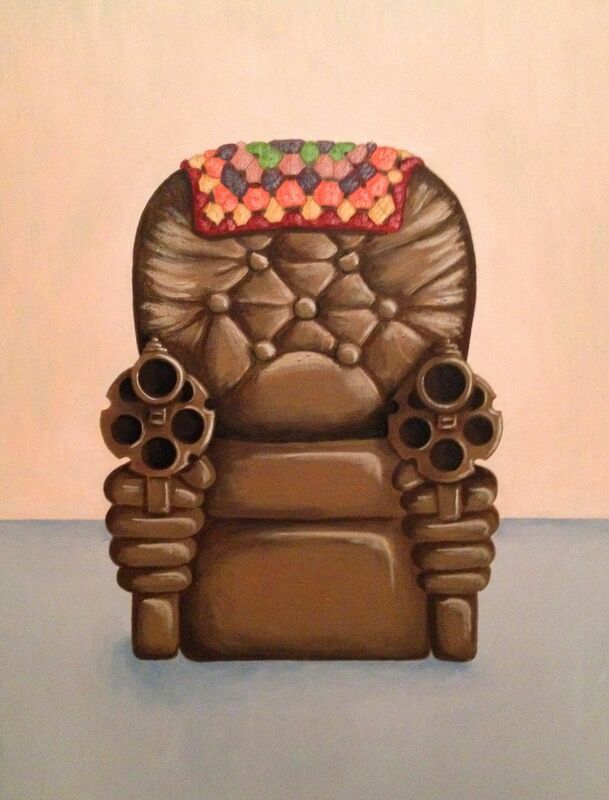 And a La-Z-Boy recliner with revolvers for arms. 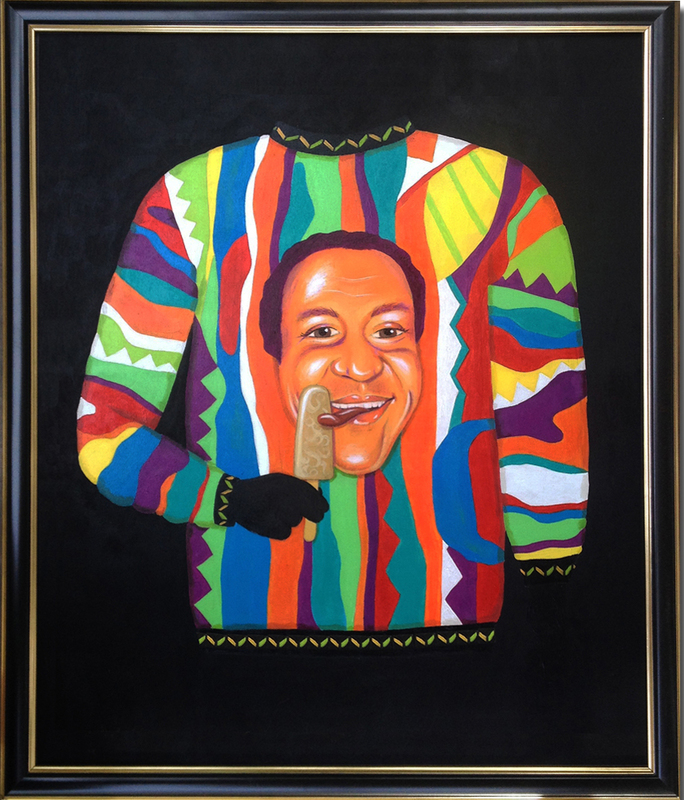 Her painting of a sweater clad Bill Cosby eating a Jell-O pudding pop, painted in 2014, was originally intended to be fun and light-hearted. As a kid, Terri’s artistic talent surfaced almost immediately. “You can look at things I drew at like 3 or 4 years old. I’m not saying they’re great art, but I'm not saying they're NOT great art,” she joked. "But most of all, I had the interest to learn it. Which is really the main thing you need to become good at a thing." Fortunately, Terri was surrounded by family and teachers who not only recognized her talent, but encouraged it. “It became a big part of my early identity. 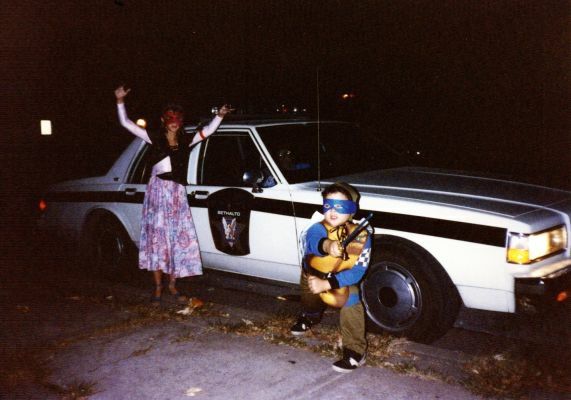 I was the 'artsy' one." LEFT: Headin' for the mountains in a velour track suit. 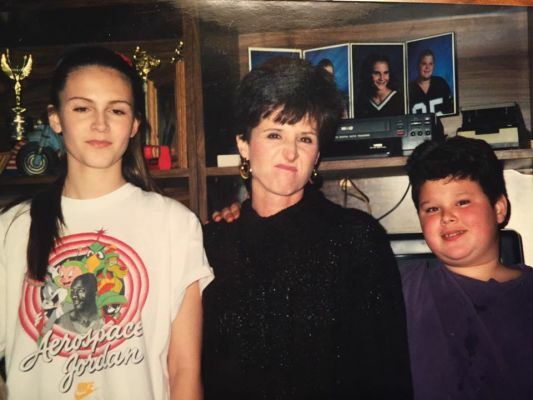 RIGHT: A child inspired by the denim and bad perms of her parents. 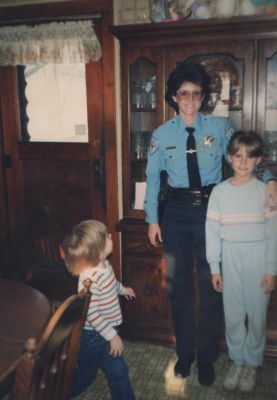 Raised by a single mother in Bethalto, Illinois, Terri’s mom was the first female police officer in their town. “Sometimes I wonder why I paint, when I could easily create the same conceptual image on a computer. But as time-consuming and messy as painting can be, I find value in the tactile quality and one-of-a-kind-ness of each piece. 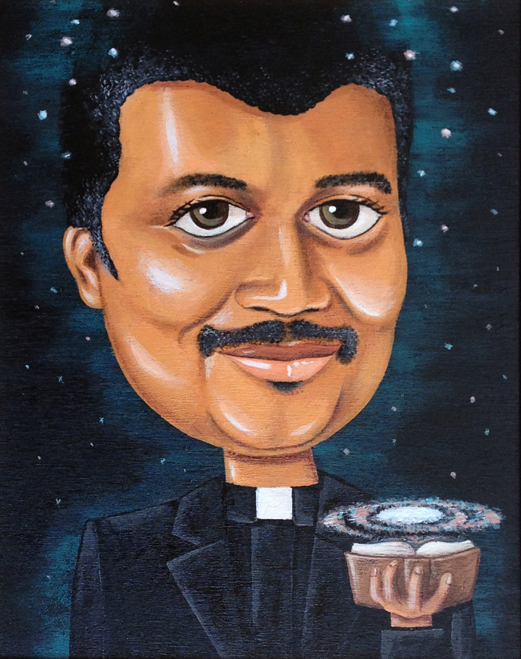 Sometimes someone will ask to buy a digital print of one of my paintings, and I prefer not to do that. It takes away from one of the reasons it's worth having, which is that it's the only one like it in the world." The fact that painting is an imperfect medium also appeals to Terri. “Graphic design inherently strives for perfection. It's a very nitpicky process. It's nice that I don’t have to be perfect when I paint." That need for imperfection that also attracted her to improv comedy. She was inspired to take a class after hearing a podcast explaining that improv can help improv interpersonal skills. "I thought maybe I could be a better, nicer, more extroverted person if I learned it. None of that happened, obviously, but I did find that I liked that in-the-moment unknown aspect of doing improv." Terri (in a blonde wig) performing in a 1970s-Soap-Opera-themed improv show in San Diego. 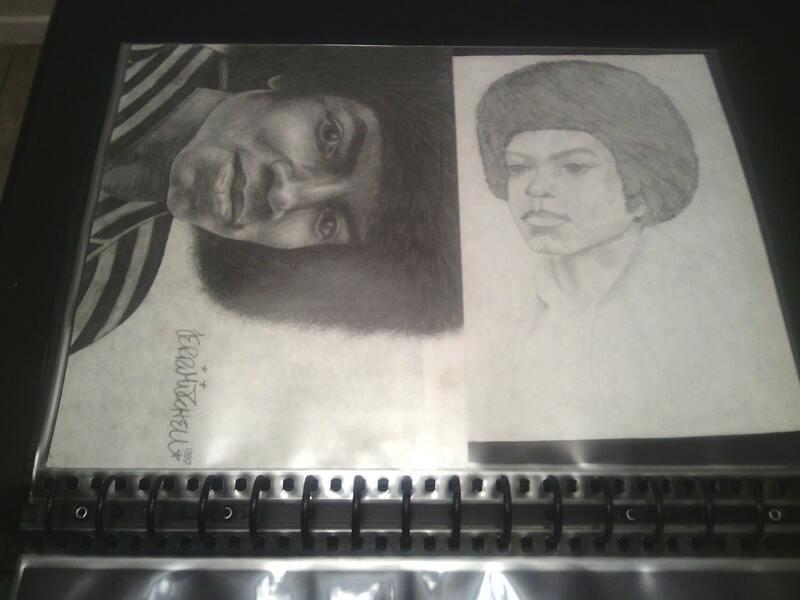 A large chunk of Terri’s high school years were spent drawing graphite portraits of Michael Jackson. 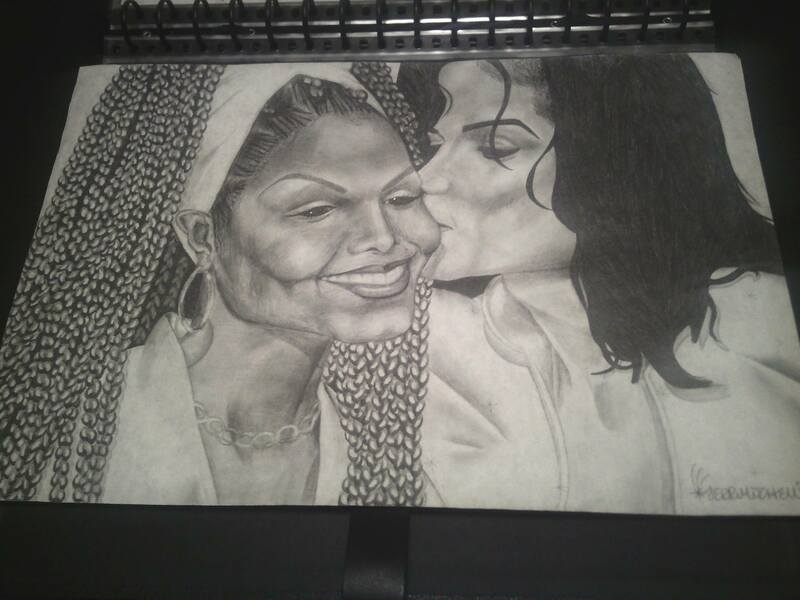 Her extreme fan obsession, while worrisome to her mom, did end up teaching her a lot about drawing. 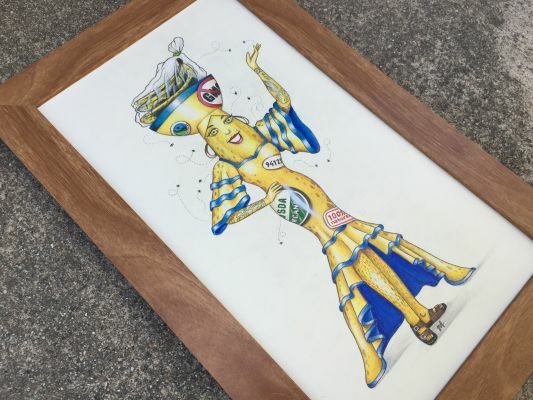 "People think they can't draw, but trust me, if you obsess over one thing enough, and draw it over and over and over like a crazy person, you'll eventually get pretty good!" Jackson is also indirectly the cause of one of the weirdest experiences of her life. She sold her French Horn (long story) on ebay to buy tickets and fly to New York to see Michael Jackson perform at Madison Square Garden on September 10th, 2001. He came out of the floor in a space suit. Marlon Brando, Liz Taylor and Macaulay Culkin were there. The next day, September 11th happened. She thought the world was ending. She ended up driving back to St. Louis in a rental car with a lady she didn’t know and her son, who farted the entire trip. LEFT: Terri's teenage bedroom. Because when she does something, she really DOES it. 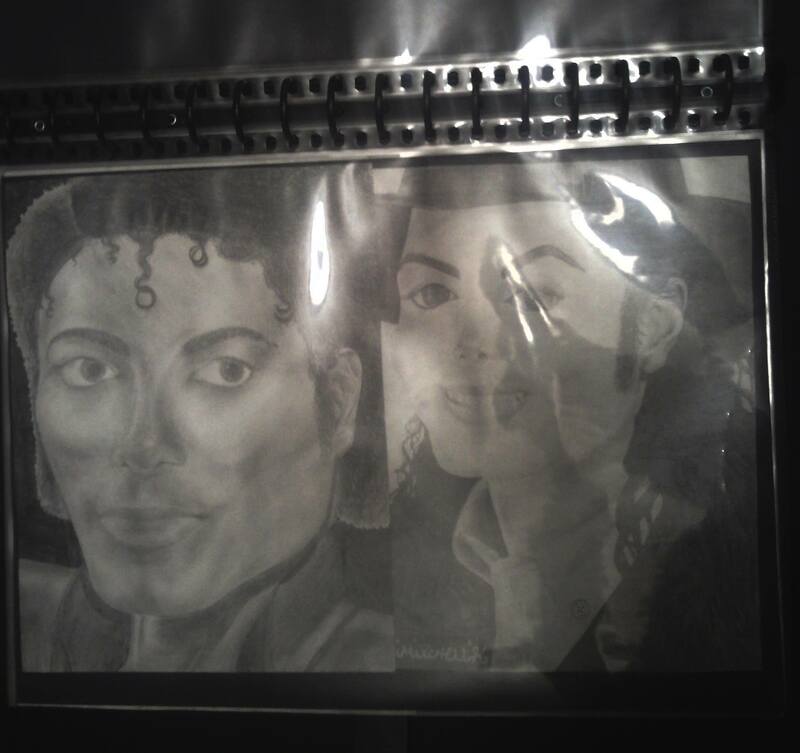 RIGHT: Terri got to see Michael Jackson perform in NYC in 2001, the day before 9/11 happened. She took this with a camera that uses FILM. Whoa! After graduating high school, Terri joined the Air Force. When asked why she joined, she stumbled a bit, trying to find the right words. "We all bring our personal experiences to our work. One of my experiences just happens to be that I spent 5 years in the Air Force. Being that it's not very common in my industry, it gives me a bit of a unique lens." What’s next for Terri? She wants to keep making art. 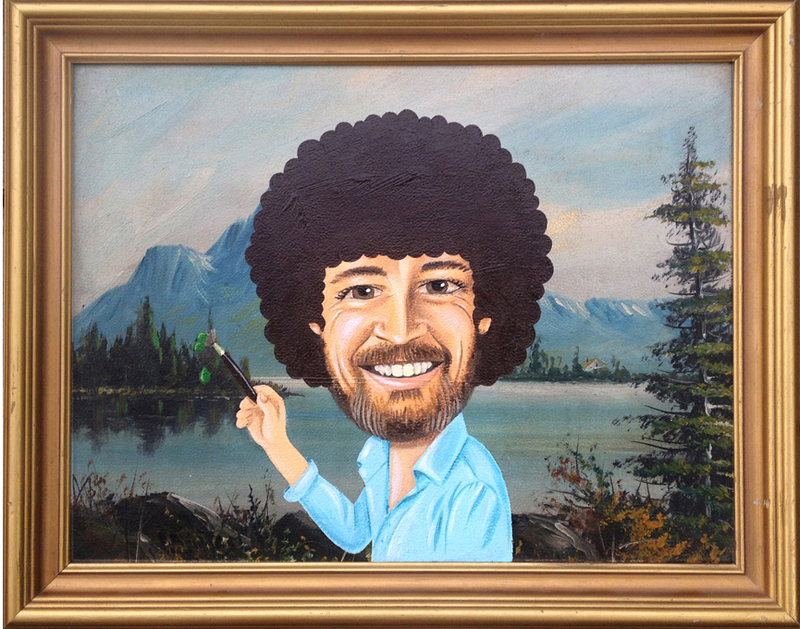 But maybe start to branch out from painting. "I don't know if I want to just keep begging my friends to buy painted rectangles to hang on walls. I have more to say than that limited format allows. Plus, not everyone has money to buy art. I want to make things more people can experience and enjoy. I have no idea what that means, but I'm sure I'll figure it out." One thing is for certain: There are lots of creative endeavors on the horizon for Terri – in whatever form they may take. She can't help herself.